On Tuesday, February 26, this year’s EST/Sloan First Light Festival will feature a reading of Andrea Lepcio’s new play, WORLD AVOIDED, followed by a special panel discussion and reception. The title captures in two words the future environmentalists hope their efforts can deliver: a future different from the one we are destined to arrive at if we don’t change our behavior. Joining Andrea for the post-reading discussion on Tuesday will be many of the individuals who contributed to the success of the Montreal Protocol, including Dr. Stephen O. Andersen, Dr. Suely Carvalho, Dr. David Fahey, and Durwood Zaelke. In advance, let’s hear more from Andrea about the background of the play. On your website you note that WORLD AVOIDED is “based on [your] experiences attending Montreal Protocol international diplomatic meetings.” How many meetings did you attend and when did you decide that you had to write this play? Stephen Andersen (left) and Madhava Sarma at Montreal Protocol meeting 2002 where they launched their book, Protecting the Ozone Layer. Steve Andersen, Director of Research for the Institute for Governance & Sustainable Development and the former EPA official responsible for the Montreal Protocol, was my college professor and we have remained friends. He suggested that the Montreal Protocol would be a good topic for a play, emphasizing that it is the most successful climate change agreement. I began research and quickly concurred, though, at first, I was worried: where would I “find the conflict” since the history was about the world coming together and agreeing. Steve then invited me to come to the Meeting of the Parties. My first time was in July 2014. It was good that he didn’t warn me before I got there. Everyone was screaming at each other. They were in the middle of a huge fight and I got excited – there’s my conflict. I attended five meetings over two years. Most of that time the conflict got worse and I used to say, this is very bad for the climate but very good for the play. Even better for the play –and the climate – we reached a happy ending in Kigali in October 2016. I had finished the draft on that happy note – and then Trump got elected President – so I went back and added the election and his winning since he is now the greatest threat to climate in the world. WORLD AVOIDED had its first public reading in February 2017, as part of that year’s First Light Festival. How has the play changed since? The play has become shorter. After the 2017 reading, it was very clear that some material had to go. It was a little too much to ask an audience to absorb in one sitting. This was the most difficult part of the re-write for me. From conversations with Linsay Firman and Graeme Gillis at EST and other observers, I started to see what could go. They do instruct us to kill our darlings. As it turned out, I needed to trim the part of the story I had personally witnessed and trust that the more interesting material was the deeper history. Pages fell away and the story focused. Besides attending the meetings, what other research did you do to write WORLD AVOIDED? How many of the characters you portray did you get a chance to meet and interview? I read many books on the Montreal Protocol. Steve Andersen has a good one that he wrote with Madhava Sarma, Protecting the Ozone Layer: The United Nations History (2002). And Richard E. Benedick, the U.S. negotiator for MP (and also a character in the play), wrote his own account, Ozone Diplomacy: New Directions in Safeguarding the Planet (1998). 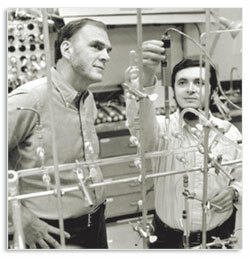 There are also famous articles like the 1974 Nature journal paper by Mario Molina and Frank Sherwood Rowland – perhaps the most important article on climate change ever published – in which they describe how ultraviolet radiation breaks down chlorofluorocarbons (CFCs) in the stratosphere and how the chlorine that gets released breaks down ozone (they won the 1995 Nobel Prize in Chemistry for this work). Participants at the Montreal Protocol meeting, Kigali, Rwanda, 2016. Playwright Andrea Lepcio is second from right. At the meetings, I got to meet, essentially, all of the living people. I am very disappointed I never got to meet Mostafa Tolba, who passed away in March 2016 at a very old age, nor Madhava Sarma, both of whom Steve adored and was mentored by. My now friends include Helen Walter-Terrinoni, Marco Gonzalez, Durwood Zaelke, Guus Velders, David Fahey, Paul Newman, Mack McFarland, and many more. There is always a very congenial atmosphere at the meetings. The first one I went to, Steve was greeted like a long lost relative. The next meeting I went to, I was greeted like a long lost relative. In 2005, Kofi Annan, then Secretary General of the United Nations, hailed the Montreal Protocol as "perhaps the single most successful international agreement to date.” What made this agreement so remarkable? This is true. I believe there are a few reasons. The first would be the magic of Mostafa Tolba. He led the original effort in a strategic, diplomatic, manipulative and brilliant manner that made the first agreement come together and increased the ambition for what could happen in 1990. Second, under United Nations Environmental Programme (UNEP) rules, all decisions are by consensus. I believe once consensus was reached in ‘87 and again in ‘90, the World learned this was possible and continued to reach for it in this setting. The Kyoto Protocol on Climate Change also relies on consensus, but the delegates there have only agreed on relatively small steps. Third, success brings success. The Montreal Protocol took care of the ozone problem so fast. They went from “the sky is falling” to “we saved the earth” so quickly; that created pride that continued to feed achievements. It was even held over people’s heads when they resisted changes in 2016. There are people who believe the ozone problem was more viscerally palpable than the climate problem. With less ozone we were going to get skin cancer, cataracts. For me climate is just as visceral, but there are those who argue that the idea of getting warmer isn’t as immediate. I think storms like Sandy made it immediate, but then, not to people like Trump. Why do you think the Montreal Protocol succeeded where so many other international conferences failed? How important was it that British Prime Minister Margaret Thatcher was a “chemist by training”? I have never attended a United Nations Climate Change Conference (COP). They meet annually. Durwood goes and members of his team. Steve doesn’t go. I’m not really sure what went wrong with those. Was there no one like Mostafa? Were there too many competing interests? With the Montreal Protocol (MP), there is always the balance of developed and developing countries. Again, it helped that Mostafa was Egyptian. Sometimes it is referred to as North versus South. I can only guess that tensions are higher and less resolved at COP. At MP I witnessed, specifically, the Gulf States trying to beat us up to get what they want. I think they are likely to be even more strident at COP and without the legacy of success which always distinguishes MP. With MP, success begot success. Maybe, with COP, failure begets failure. Paris 2015 was a step forward. Durwood says Marrakesh 2016 was a step back. I think Thatcher was amazing in 1990. Yes, because she understood the problem as a chemist and because she could call Bush and bully him. Some 197 parties ratified the Montreal Protocol and WORLD AVOIDED dramatizes in a brisk, entertaining and lively fashion the negotiations that led to that 1987 agreement and the several attempts in the thirty years since to revise and improve it. This clearly involved a lot of judicious editing. How did you decide what to include and focus on? This is about the fifth draft of the play. I tried, for three drafts, to center the action on the current crisis and flash back in time to show the earlier successes. I was convinced that was how to write the play. Finally, brilliant Linsay Firman [Director of Play Development at EST] said, I think we might understand it better chronologically. I instantly knew she was right – even though it had never occurred to me! I had been worried in the beginning that there would be a lack of drama, but of course, there was drama at every turn. In chronological order the audience understands the build and evolution better. At least I hope they do. There was a huge amount of editing. There are so many chemicals and stories about how they were phased out. I have so many deleted scenes. I could have written a play entirely about 1987-1990. There was a specific chemical, for example, methyl bromide, which is ozone depleting and important in agriculture that was very difficult to phase out. A friend of Steve’s took a machete to the head over this one. It kind of needs its own play. There were people I couldn’t really serve in the space I had. Madhava Sarma, head of the Montreal Protocol Secretariat, for example. The play has some clear heroes – scientists Frank Sherwood Rowland and Mario Molina for their discoveries, researcher and environmental protection advocate Stephen O. Andersen and Durwood Zaelke for their persistence – am I missing anyone? They drive the action that spans almost fifty years. How do you envision their characters and motivations changing over that time? In a play, characters are supposed to change. In many ways, I knew that Steve and Durwood only got older as opposed to really changed, but I found Steve getting more desperate and exasperated as the final win seemed in danger. I hope that is satisfying for the audience. Durwood is kind of a Zenlike figure who keeps his emotions very close to his vest. Once I came out of a particularly contentious meeting looking very grumpy. Durwood said “Fix your face.” And I understood in that moment, that was how he did it. He is always externally calm. I learned a big lesson from him that day. What’s important to me is that the play captures the tension of feeling – like they and the world are running out of time. There are many other heroes who get much less stage time. Researcher Guus Velders was named one of Nature’s “Ten People Who Mattered in 2016” for his work on HFCs. Some of the antagonists in the play – perhaps we shouldn’t name names – seem rather comically hapless. Is what you have them say actually from conference transcripts? Yes, we could say there is a villain in the play and I pushed his text for fun. A scientist who just seemed to always be working against the HFC amendment. But he was still given a platform to share his views. Some of the text is exact transcript – for instance, much of what we hear from the Saudis, but not all. In some cases I did expand the text to make a point. Spoke what was subtext, that kind of thing. It was so wonderful to hear, after the Kigali amendment passed, the Saudi delegate saying, after years being on the other side, how grateful and happy he was that we had reached this agreement. To understand the stakes in the play the audience will have to understand something about chlorofluorocarbons (CFCs), hydrochlorofluorocarbons (HCFCs), hydrofluorocarbons (HFCs), and hydrofluoroelefins (HFOs). Do you have any special approach to doing this? When the play was going back and forth in time, I think it was nearly impossible to understand, to be honest. And it took me a long time to see that. I kept trying to make it clearer in that structure. Now that the story is told in chronological order, it will be easier, because we learn about each gas or chemical as it is in use and at issue and then resolved. The 1987 protocol, for instance, focused on replacing CFCs, which depleted the ozone layer, with HCFCs, which did not but still increased global warming. 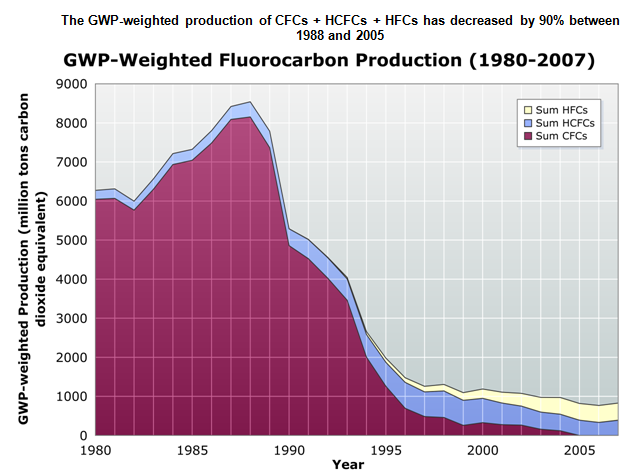 Then in 2007, the goal was to replace HCFCs with HFCs but in 2009 scientists discovered a problem with HFCs . . . but we shall see once we have an audience. The play often has text projected in “square brackets” for discussion. Can you explain how the Montreal Protocol meetings used “square brackets” to address areas of disagreement? Once text is proposed it is typed up and projected so everyone can see the proposed text. Bear in mind there are translators, but text is always typed in English. When someone has an amendment, that is typed in square brackets so square brackets phrases are added and subtracted during the debate until everything is agreed and the square brackets are eliminated. There is an environmental group at the College where I teach called Earth in Brackets. We now know that since 2009, for the first time in human history, the majority of the world’s population lives in urban areas. How has that changed the concerns of environmental scientists? It put the pressure on. In urban settings, people have more income and demand air conditioning, mobile air conditioning, use more electricity, etc. It’s the air conditioners that use the fluorocarbons – CFCs, HCFCs, HFCs. UNEP Executive Director Mostafa Tolba frequently tells Andersen “talk less, listen more” which echoes Aaron Burr’s advice to Alexander Hamilton in Hamilton. Did Mostafa get this from Burr or did Lin-Manuel Miranda get this from Mostafa? Have you considered a rap version of WORLD AVOIDED? I am totally doing a Lin-Manuel reference on purpose for fun. So let’s credit Lin-Manuel. But Steve says he learned everything about diplomacy from Mostafa. Is there anything you discovered by attending the Montreal Protocol meetings that you were too discreet to include in the play? Ha! I don’t think so. I mostly wish I could put 400 people on stage. The experience of being there with everyone is so profound. To go out to get some air and spend time with a man from Jordan who is saying how nice the weather is in Rwanda. Each of these moments are so precious to me. Have you written other plays related to science? I wrote a screenplay about a kid whose mother gets breast cancer who becomes obsessed with cell biology. That won a Sloan award at grad school at Carnegie Mellon. And I’ve written a ton about breast cancer. I am now working on a site-specific piece for Acadia National Park where I am a writer in residence. And I am working on a play about how Exxon went from leading climate change research to denying it was happening, all in the interest of profits. Having lived with the concerns of this play for so long, I suspect you are especially sensitive to changes in the environment. Do you have any observations you’d like to share? Living in Maine, I am more and more conscious of how visible the changes to climate are right in front of my eyes. There are fewer songbirds. Our summers are near drought, and our winters have extreme precipitation. For the first time this year, pools of water collected on my lawn; this never happened a couple of years ago. In the piece I am working on for Acadia, I want to emphasize to people that they must look, assess, remember changes, and act. We are running out of time.